Huawei is launching several new devices these days, even one with its own event in Paris, France today. 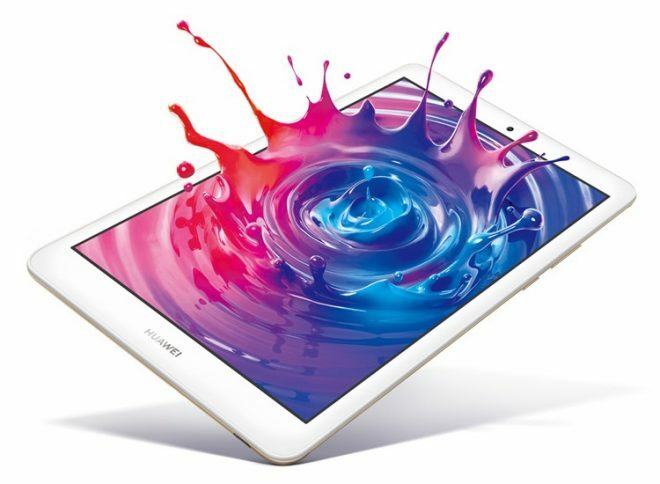 One of these new devices this week is an Android 9.0 tablet in the MediaPad M5 Lite series, with this one called Huawei MediaPad M5 8.0 Lite. There’s already a 10.1-inch Huawei MediaPad M5 Lite on the market, but the smaller Huawei MediaPad M5 8.0 Lite has slightly better specs. 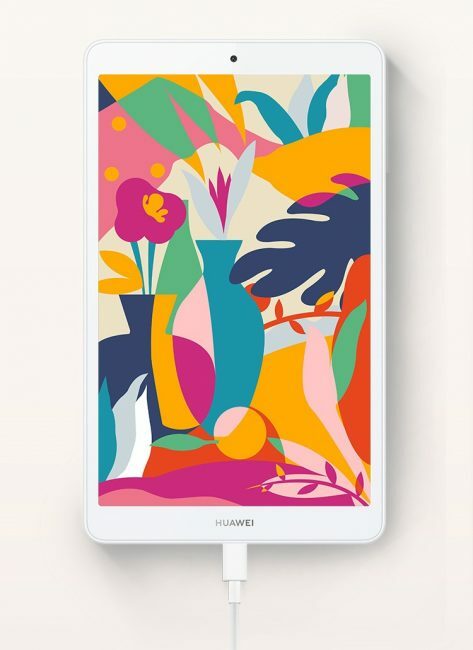 Huawei MediaPad M5 8.0 Lite is an 8-inch Android 9.0 Pie tablet powered by Huawei’s Hisilicon Kirin 710 processor, with options of 3GB of RAM and 32GB storage, or 4GB of RAM and 64GB of storage, both with microSD card support up to a massive 512GB. The 8-inch screen sports Full HD 1920 x 1200 resolution, with a F2.0 8MP front camera and F2.2 13MP rear camera, and Harman / Kardon Stereo speakers with Histen 5.0. This Android 9.0 tablet features Huawei’s fast EMUI 9.0 user interface in addition. 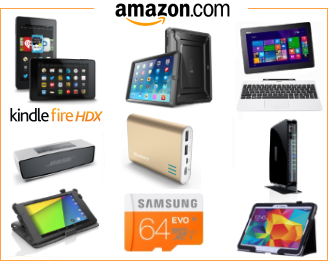 It has a 5100 mAh battery that will last for 10 hours, full dual-band 802.11 a/b/g/n/ac Wi-Fi coverage, optional 4G LTE, it has a 3.5mm audio combo jack, a micro-USB 2.0 port, it’s 8.2mm thick and weighs 310 grams. If you are experiencing something of a déjà vu when reading about this Huawei tablet, then don’t worry. 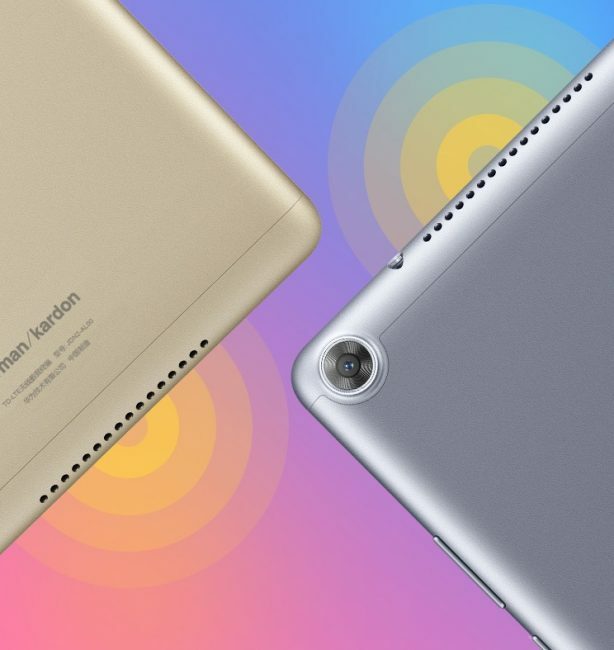 The Huawei MediaPad M5 8.0 Lite is 98% identical to the Huawei Honor Tab 5 8.0 in every way, shape, and form. The only differences is that the Huawei MediaPad M5 8.0 Lite has a higher resolution rear camera, and that the Honor Tab 5 features different speakers. Huawei MediaPad M5 8.0 Lite is launched in Asia at the end of this week, but it could take some time before it eventually becomes available in the US.